The are a number of clinics in Gateshead with the main one being in central Gateshead at Trinity Square Health Centre. This clinics offers all services: contraception and screening/testing for sexual infections, including if you are having any symptoms of an infection (discharge, spots/blisters and other genital skin conditions). 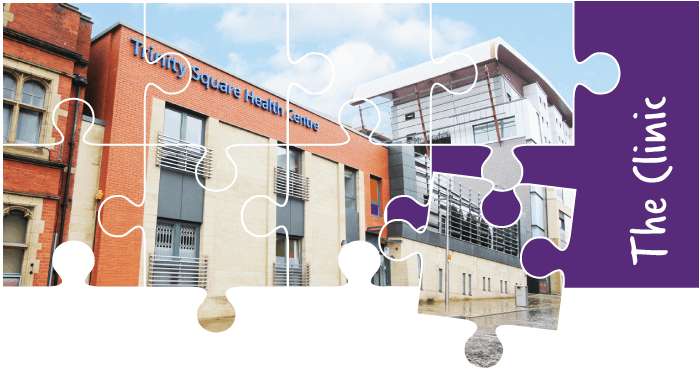 Specialist services such as Psychosexual Counselling, HIV monitoring and PEPSE (post exposure prophylaxis following sexual exposure) are also provided at Trinity Square Health Centre. The spoke or satellite clinics at the other venues in Gateshead offer most forms of contraception and screening for infections if you have no symptoms and just want a check up. Some of these spoke clinics are for users under the age of 25 years. The clinic timetable gives you more information about what service you can expect at each clinic, including information about those offering appointments and/or drop in. It is important that you are seen by the right person in the right place, therefore if you are unsure which clinic to choose, please contact our service for further information/advice. The drop in clinics often get busy and we may need to offer you an alternative clinic to attend if you arrive and are not able to be seen.